soulcycle. surfset. hip hop. HIIT. barre. bootcamp. Yoga. ALL AT THE COUNTRY'S LARGEST CELEBRATION OF BODIES OF ALL SHAPES AND SIZES. Registration is now open! get your tickets here. 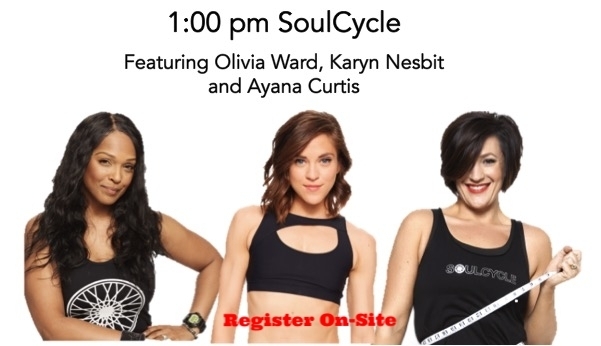 Join us for SoulCycle in a one-of-a-kind outdoor setting! VIP Admission is a $75 registration fee + a required commitment to fundraise $2,000 in order to ride. General Admission is a $35 registration fee + a required commitment to fundraise $350 in order to ride. 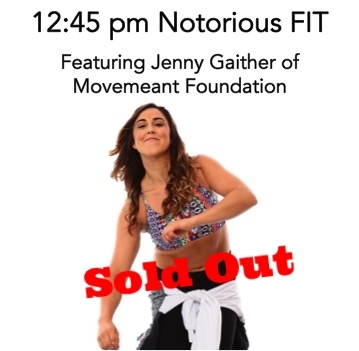 Sweat it out with our incredible collection of celebrity fitness instructors! Admission is $20 per class unless otherwise noted. Each individual class requires registration and payment in order to participate. Plan your workouts with our schedule of events. WHAT IS 'DARE TO BARE'? 'Dare To Bare' is Movemeant Foundation's flagship outdoor charity fitness event and the largest body-positive event across the country. Together, we 'dare' ourselves to overcome the fears of our physical appearance in celebration of our physical strength, emotional fortitude, mental grit and self-love. We move. We sweat. We dance. And we shed not just our shirts, but our insecurities—proving that bodies of all shapes and sizes are healthy and capable. WHY SHOULD I 'DARE TO BARE'? Thanks to the generosity of London's leading premium women's activewear brand, Sweaty Betty, the first 500 registrants receive a 'Dare To Bare' branded Sweaty Betty Infinity Workout Sports Bra (featured here in the inset; value of $65; limit one per person even if registering for multiple classes) to wear to the event. You'll also receive a complimentary gift bag filled with everything you need, from snacks and sunglasses to water and more, for a memorable day working out with your #fitfam. VIP SoulCycle Riders will also receive a pair of Sweaty Betty leggings designed with high stretch fabric, thoughtfully-placed hems and bold patterns that amp up your unique style. WANT TO KNOW MORE ABOUT 'DARE TO BARE'?